Thank you for visiting our website and looking around to see what our gymnastics facility has to offer. Pure Gymnastics is a 14,000 sq. 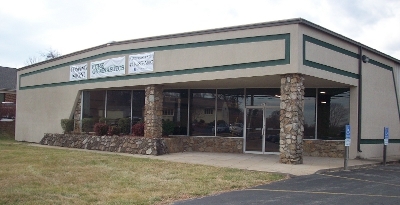 ft. fully equipped gymnastics facility located in Lynchburg, VA. We are an athletic facility offering recreational and competitive gymnastics and tumbling. Our programs focus on ages 12 months and up. These activities focus on teaching students gross motor skills, basic gymnastics skills and high level competitive activities. As all the skills mentioned above are most important, we will also focus our energy into building healthy, confident, responsible and educated athletes through the physical activities we offer. We target families and individuals looking for specialized sports training for their children. We offer recreational and competitive team classes that run year round. We also offer other extra activities such as Parent's Night Out, Open Gym, camps, clinics, birthday parties and field trips. COMING SOON! Our facility will also offer a full service coffee shop that is located in the main lobby. The coffee shop will offer traditional coffee based drinks and other non-coffee drinks as well as pastries and snacks. Pure Gymnastics In the Media!